This article first appeared in Trademark Litigation: A Global Guide 2017, a supplement to WTR, published by Globe Business Media Group – IP Division. To view the guide in full, please go to www.WorldTrademarkReview.com. Trademark law in the United States arose out of the common law of unfair competition. Today, the governing law is embodied in a federal statute, 15 USC §§ 1051 et seq, called the Lanham Act, and in various state statutory and common laws. Among other things, the Lanham Act creates private rights of action for infringement of registered and unregistered trademarks, dilution and cybersquatting. State laws frequently provide parallel statutory causes of action for infringement and dilution, and common law causes of action for infringement, palming off and unfair competition. Lanham Act claims have original, but not exclusive, jurisdiction in the federal courts. As a result, as long as other jurisdictional requirements are satisfied, claims may be brought in either federal or state courts. Most trademark cases, however, are filed in the federal courts. the defendant’s intent in adopting the mark. No single factor predominates and they are not exclusive. that the defendant’s mark is likely to diminish the distinctive quality of the plaintiff’s mark through tarnishment or blurring, regardless of likelihood of confusion, of competition or of actual economic injury. State law dilution causes of action frequently do not require proof that the plaintiff’s mark is famous. Cybersquatting generally requires proof that the defendant registered, used or sold a domain name that is identical or confusingly similar to the trademark owner’s trademark with a bad-faith intent to profit from the domain name. Whether the defendant has a bad-faith intent to profit is governed by a nine-factor test. Notably, in certain circumstances the plaintiff may file an in rem action against the domain name in the judicial district where the registrar, registry or other domain name authority is located. If litigation is not the preferred avenue for relief, several other options can be pursued. To the extent that the parties have an agreement in place (eg, where the trademark dispute arises out of a licensing or franchise agreement), they may opt for binding arbitration. Similarly, even without a formal agreement, the parties can opt to move forward with mediation to resolve the matter amicably. In some instances, additional alternative dispute resolution options are available. For example, trademark disputes involving domain names can use the Uniform Domain Name Dispute Resolution Policy of the Internet Corporation for Assigned Names and Number, and disputes involving comparative advertising can use the Better Business Bureau’s National Advertising Division. Because trademark rights arise out of the Lanham Act and various state statutory and common laws, there are several venues for litigation. The United States has both federal and state court systems. Lanham Act claims have original, but not exclusive, jurisdiction in the federal courts. As a result, as long as other jurisdictional requirements are satisfied, claims may be brought in either federal or state courts. Most commonly, infringement claims are brought in federal district courts. As with all cases brought in federal court under federal statutes, a variety of statutes govern the determination of the proper jurisdiction for trademark cases. The key inquiries are whether the court has personal jurisdiction over the defendant and whether venue is proper. Personal jurisdiction examines the connections of the defendant to the forum. If personal jurisdiction exists, venue is typically proper, but a defendant can request a transfer to a more suitable forum (dependent on the convenience of the parties, the location of witnesses and documents, a state’s interest in deciding the dispute, choice of home forum and other public interest factors). whether there is any ‘home turf’ advantage. Additionally, while the Lanham Act governs federal trademark claims, different states have different statutory or common law causes of actions or remedies that may be appealing to a plaintiff because they apply less rigid standards to proving infringement or injury. Indeed, there is even value in considering which appellate court would preside over an appeal, as there is some variation in applying the law at that level as well. Depending on the strengths and weaknesses of a plaintiff’s case, filing in one circuit may be more beneficial than filing in another. For example, there is a divide among the circuits as to whether a plaintiff must prove willfulness in order to recover defendant’s profits as a remedy, so a plaintiff may seek a jurisdiction where no willfulness is required to recover profits. Whether in state or federal court, the case will be decided by a judge or jury. Whether a party has the right to a jury trial on trademark claims is determined by the remedy sought. If the remedy is purely equitable, there is no right to a jury. If monetary damages are at issue, either party may elect a trial by jury. If a party exercises the right to a jury trial, then the case must be heard by a jury. If both parties waive their jury trial right, the case will be heard by a judge. appeals are taken to the commission as a whole. The Lanham Act also gives the court the power to impound and destroy infringing goods and to cancel registrations, in whole or in part. The Lanham Act allows that, in some situations, a successful plaintiff may recover defendant’s profits, any damages sustained by the plaintiff and the costs of the action. With respect to recovery of profits, the plaintiff is required to prove only the defendant’s sales; the defendant must prove all elements of cost or deduction to arrive at a profit figure. However, the defendant is entitled to show that some or all of its profits earned were not attributable to use of the mark. An award of defendant’s profits is subject to the court’s equitable discretion and may be increased or decreased based on the circumstances. The court also has the discretion in assessing actual damages to treble the award. In all circumstance the amount awarded can be compensatory only and cannot constitute a penalty. Lastly, although attorneys’ fees are typically disfavored, in exceptional cases the court may award the prevailing party fees. Use of a counterfeit mark allows for additional potential damages. For example, the use of a counterfeit mark generally mandates treble damages and an award of attorneys’ fees. Also, the use of a counterfeit mark allows the plaintiff to elect to recover statutory damages. Statutory damages range from $1,000 to $200,000 per counterfeit mark per type of goods or services sold or, in the case of willful use of the counterfeit mark, up to $2 million per counterfeit mark per type of goods or services sold. A cybersquatting plaintiff may likewise elect statutory damages ranging from $1,000 to $100,000 per domain name. State statutory and common law damages models vary widely; however, they generally track the Lanham Act insofar as injunctive relief and monetary relief are usually available. Once a claim has been filed, the lawyers must marshal the evidence that will be used to prosecute or defend the case early. There can be a temptation to wait and allow the evidence to marshal itself through the discovery process. This strategy, however, often leads lawyers and clients to over estimate or underestimate the strength of their case to their detriment. Taking the time early in the process to identify the evidence that both sides will use helps to establish a strategy and a case plan, which can often lead to quicker settlements and more favorable outcomes earlier in the litigation process. It also helps to avoid unpleasant surprises later on in the litigation process. The first step in evidencing your case is to determine what the disputed issues are in the matter and to focus on those issues that may be dispositive. Particularly beneficial is mapping out the legal areas that will be hardest fought, which will help to pinpoint evidence that must be established. whether the mark has acquired secondary meaning. Once the dispositive issues have been identified, it is time to talk to the client about what evidence exists to prove its side of each issue. Once the primary issues have been identified, the best place to start gathering evidence is typically through witness interviews with your own client. The process is crucial because it is necessary to evaluate who will be the best witnesses to put up for deposition and at trial, and helps to identify potential caches of relevant documents that can be collected, analyzed and produced. Talking to witnesses with first-hand knowledge of the facts is also necessary, to arrive at a realistic understanding of what those facts actually are. Frequently, the original details that the lawyer receives are incomplete or even incorrect. Facts get lost as they pass from individual to individual, and assumptions are made that often prove incorrect. As a result, it is imperative that the lawyer not rely on undocumented (or even documented) facts without a thorough interview of the relevant witnesses who have first-hand knowledge. Conducting the witness interviews can be an uncomfortable process, particularly when dealing with a defendant who may be sensitive about blame. As a result, the interviews should be comprehensive, but conducted in an unthreatening, collaborative manner. The lawyer should ask open-ended questions to get a full understanding of the facts and should continually press for details that will help to prove particular issues. Recollections should be probed and, where necessary, challenged, to make sure that they can withstand unfriendly scrutiny. It is far better to identify any holes in the client’s story ahead of time than to be surprised by inconsistencies later on in the process. One of the primary purposes of conducting early witness interviews is to identify the existence and location of relevant documents. This is not only necessary for the development of a successful case; it is a part of the lawyer’s ethical obligations. Lawyer and client are both under obligation to conduct a reasonable search for potentially relevant documents, to review those documents and to produce those documents that are responsive to properly served requests for production. Even before requests for production are served, both are obligated to take reasonable steps to ensure that potentially relevant documents are not destroyed, which is usually done by distributing a litigation hold memo to all relevant employees. Figuring out which documents are most relevant and necessary to prove a case will vary by matter, but in every case it is worth remembering that any recollection that a witness has is far more powerful if it can be verified through a contemporaneous document. As important, because the other side will have access to the documents through discovery, is to identify the documents that are harmful to the case, such as those that are contrary to your narrative. By discovering these documents early, the narrative can be developed in a way that takes into account those bad documents. At the very least, it will help you to prevent your client from appearing to lie and losing credibility with judge and jury. To prepare properly, the lawyer must be proactive and creative in identifying potentially relevant caches of information. One strategy worth considering in many cases is to conduct pilot surveys early on in the case. In many instances, surveys can be the most persuasive evidence on key dispositive issues in dispute in trademark cases, including on secondary meaning, likelihood of confusion and causation in damages. Conducting surveys at the outset can give a good idea of the strength of the case and a sense of what the case may look like at trial. Lastly, it is worth considering whether there are experts who will be useful at trial. Industry witnesses, for example, can be used to present evidence that might otherwise be considered hearsay if offered by a fact witness, as long as it is the sort of data and factual material that an expert would normally rely on. in the case of trade dress, whether the mark is functional. A defendant may also be able to show that the plaintiff knew about its use of the mark (or other parties’ similar use) and failed to take any action for a sufficient period such that the plaintiff gave up its right to enforce its trademark against that defendant. This defense is rooted in the age-old concept that in order to receive equity, one must do equity. Accordingly, a plaintiff that has not acted in good faith may be barred from receiving equitable relief for trademark infringement. An important aspect to this defense is that the bad-faith conduct must relate to the specific trademarks at issue. 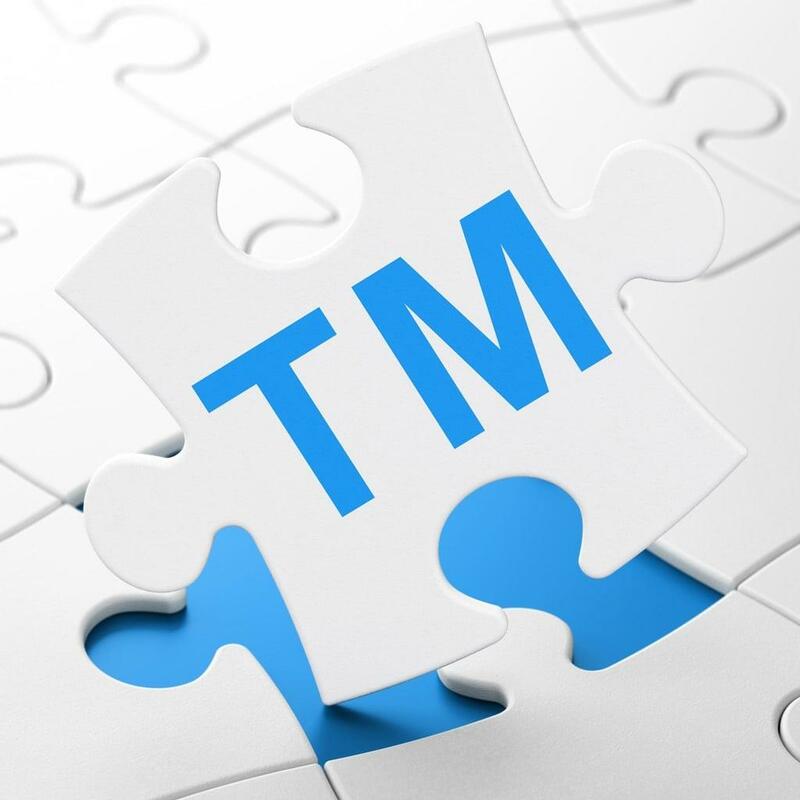 Is the use of plaintiff’s trademark necessary? Is only as much of the plaintiff’s trademark used as is necessary? Does the manner in which the plaintiff’s trademark is used accurately reflect the relationship between the plaintiff and the defendant? As outlined above, infringement is demonstrated by examining a variety of factors to determine whether a likelihood of confusion exists. Demonstrating that there is no likelihood of confusion is a complete defense, even though some of the individual factors may weigh in favor of a finding of confusion. Appeals of trademark claims under the Lanham Act are taken to the circuit court in which the district court sits. A trademark appeal is heard by the US Court of Appeals for the Federal Circuit only if the case originated in the District of Columbia or the US International Trade Commission. Following an appeal to the circuit court, the aggrieved party may then file a petition for certiorari to the US Supreme Court. The Supreme Court reviews the petition and determines whether it will hear the matter and takes appeals only in special circumstances (far more petitions are filed than cases are accepted). The case may reach a final decision on appeal, or the circuit or Supreme Court may issue an opinion but remand the case to the lower court for further action. Click here for a PDF of the US chapter.